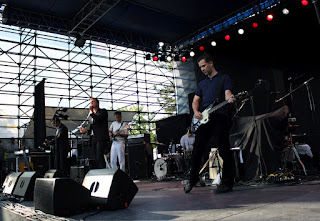 Beach House had a tough act to follow after the Walkmen opened the 2012 Summer Twilight Concert series in support of their new album Heaven, which has been getting much praise for good reason. 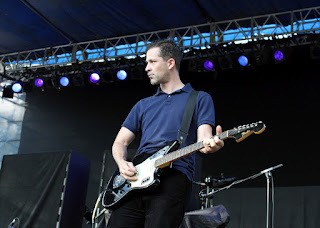 What almost appeared to be a last minute soundcheck, Paul Maroon (lead guitar) quietly walked on stage playing guitar, often crossing his legs and making slow motions to the rhythm. Following shortly, Hamilton Leithauser (vocals,guitar) took stage and began singing "Line by Line." It was perfect. The rest of the band slowly came on stage, going into the album's upbeat title track "Heaven," which got the crowd moving. The band continued on to play the the second single from Heaven titled "The Love You Love." Throughout the course of the night the band played a good mix of songs, such as "On the Water" from You & Me with lead singer Hamilton even whistling, like you hear on the album. Often sending chills throughout your body, his unique voice pierced the audience throughout the whole set and seemed to be the hot topic after the show. "We Can't Be Beat," dropped jaws throughout pioneer park, with backing ohhs and ahhs from the rest of the band, until it peaked with the lyric "it's been so long," which is held until the drums kick in. 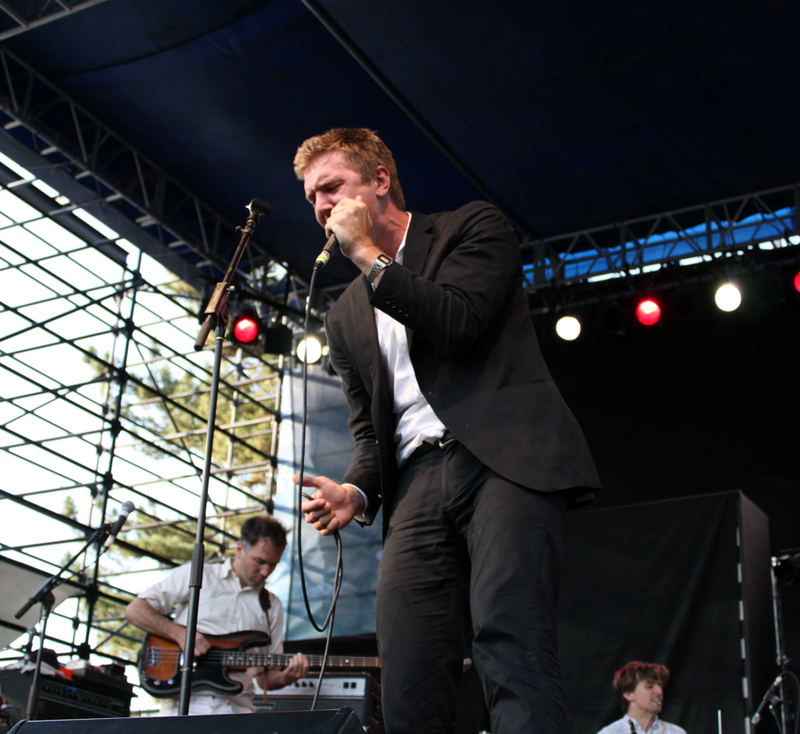 The Walkmen played four tracks from Lisbon such as "Juveniles," "Angelina Surf City" and "Woe is Me." Second to last they played "The Rat" from Bows + Arrows, which was by far a crowd pleaser. With seven studio albums and a more mature sound, the band sounded as good as ever. They ended the set perfectly as the lead singer yelled "If you don't like it/why dont you tell me!" from the track "All Hands and the Clock" off of 2006's A Hundred Miles Off. Overall the whole night was perfect, from the sound to the setlist (written on a paper plate). 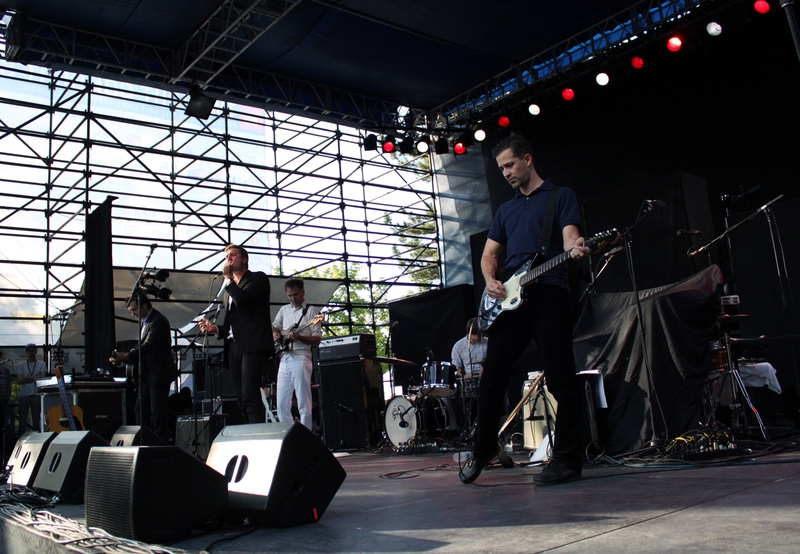 The Walkmen were a tough act to follow. Read FPT's review of Heaven HERE.